Your business’ NAP listings are crucial to your SEO success. Google recognizes multiple mentions of your business throughout the digital world and uses them to assess your company’s online authority. Creating multiple directory listings with uniform NAP (Name, Address, Phone) Information can also create better, more influential content on your Google Homepage. However, choosing the correct online plumbing and construction directories is imperative for maximum results. Complete: Most directories support logo’s, service types, about us sections, etc. Directory Listings Contribute To Local SEO. You might be wondering, where do business directories get my information from? The answer is data aggregators. 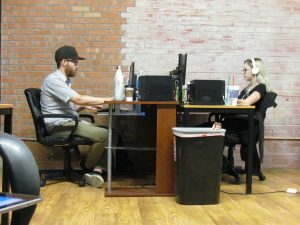 These aggregators collect information from public records and then feed the information to business directories like Angie’s List, Google My Business, and Yelp. Because plumbing companies often change some aspect of their contact information over time, listings become inconsistent, duplicated, and disorganized. Plumbing Webmasters can help you change that. Call (877) 388-9884 for plumber directory listing optimization. 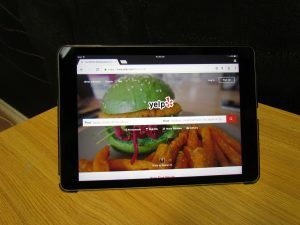 Yelp is a Well-Known Business Directory. Each of these listings will be optimized with accurate NAP information, logos, about me sections, and any other options available on respective profile pages. Now that we have gone to the main source; the data aggregators, and complete profiles on the most popular directories; see above, we have fully optimized your plumbing company’s listing information. As a result, you should notice higher results on local search results and more plumbing leads. Call (877) 388-9884 for plumber directory listing optimization services. 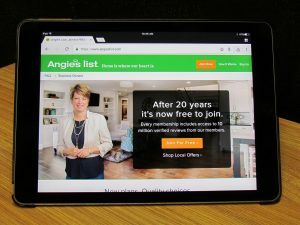 Angie’s List Is An Important Directory for Plumbers. There is no downside to claiming and optimizing your listing on Angie’s List. Because there is no monthly fee, your company receives free promotion and visibility to thousands of potential clients. Since Angie’s List is a niche community, it narrows its traffic to relevant internet users, ones most likely to be interested in your services. Looking to get more online listings for your plumbing company? Call us at (877) 388-9884 for directory listings for plumbers. Updated on April 2, 2019 at 2:56 pm by Plumbing Webmasters.